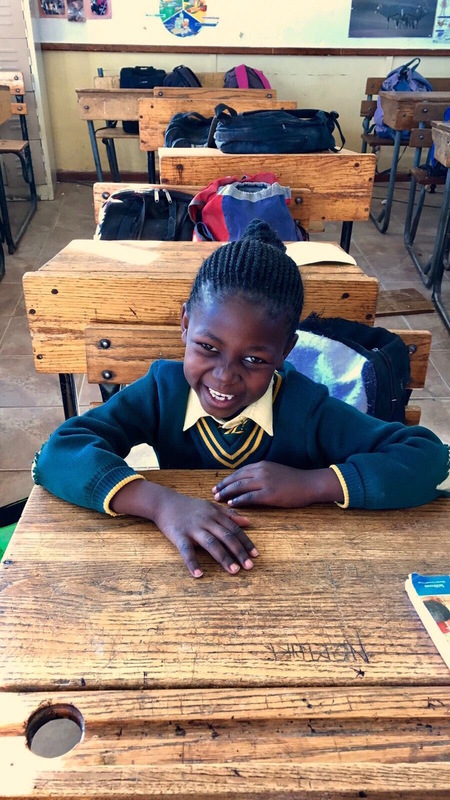 The sixth Vusumzi Primary School classroom is dedicated to William H. Moran, former Head of School at Purnell School, a girls' boarding school in Pottersville, New Jersey. Bill, a devoted husband to Judy and proud father of two sons, was a career educator, one who understood the power of learning. Bill attended Yale University, a testament to his insatiable curiosity, passion for reading, and clear focus on a proper vision for education. While he understood that rigor had a place in scholarship, he also understood that truthfulness, consideration for others, and common sense play equally vital roles. Bill, thankfully, was one of those rare leaders who balanced a well-defined sense of purpose with humor, and an attention to lofty standards with patience. He had a particular penchant for puns and loved dropping them at the most inopportune times, which often elicited widespread and heartfelt groans. Truth be told, his educators and students looked forward to each creation: waiting, waiting, waiting and then carrying the burden of its ridiculousness! In the next breath, though, Bill could lead the teachers on a profoundly important discussion about fairness, the nurturing of true confidence, and the power teachers may wield for good or for bad. He could also make students feel comfortable enough to admit their wrongdoings, to take risks, and to leave Purnell profoundly different and more confident than when they entered. Throughout his leadership at Purnell, Bill adeptly nurtured and molded students and faculty alike, instilling in each a philosophy of education that was both visionary and universal in its application. He often said to educators, "If a student has failed, you have failed," or "Don't do for one student what you wouldn't be willing to do for another." Bill Moran positively affected the lives of so many and held all to a standard of compassion with challenge, of intellect with humor. Now William H. Moran will continue to do that in a South African township 8,000 miles away from where he left his mark at Purnell. That is a true legacy and clear evidence of the eternal influence of education.